Now accepting applications for various positions: Clerk, cashiers, grocery stock, produce, food service, deli, bakery. Fry/Line Cooks Meat Cutters. Apply in person - At any location. Complete an application of employment in store; interviews will be done at a later date. Experience the exciting, fast-paced world of the grocery industry. Come grow with us as we rebuild and expand. We are currently seeking associates to staff multiple locations both in Metairie and New Orleans, Louisiana. We are entering an exciting time of expansion and rebuilding locations this year and next. Robért Fresh Market is a New Orleans-based grocer that operates its family orientated business from a customer responsive point of view, offering the best possible service and satisfaction for both our associates and customers. We strive to offer the best and freshest full service, prepared food grocery in our neighborhoods. We are looking for hard working, self-starting and dependable associates interested in satisfying customers with a smile with an eagerness to learn and grow. Both full and part-time positions are available. We offer competitive pay, paid personal time, flexible schedules, a 401k retirement plan, health insurance, dental/vision insurance, paid life insurance and other quality benefits, including a discounted lunch program and associate purchase discounts to qualified associates. Experience in the grocery industry is helpful but not necessary. 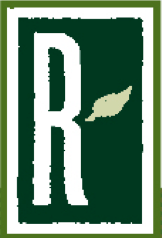 Or e-mail us at hr@robertfreshmarket.com Attention: Human Resources. Robért Fresh Market is a drug free workplace and an EOE.